If you pay attention to the news, you may be confused about coconut oil. For a long time, we did not hear much about this type of oil, then suddenly it was everywhere. Most recently, it was called “poison.” Just what should you believe? First, coconut oil is a solid fat that can be used for cooking and baking, as well as for hair and skin care. It is 82 percent saturated fat. The Dietary Guidelines for Americans 2015 and the American Heart Association recommend reducing saturated fats and replacing them with healthier, unsaturated fats. This type of fat is liquid at room temperature and includes olive oil, canola oil, avocado oil, safflower oil, sunflower oils, soybean oil, corn oil, flaxseed oil, nuts, seeds, certain fish, and olives. Why has it been in the news so much lately? News stories about a recent study referred to coconut oil as “poison.” Unfortunately, the findings of a very small study were misinterpreted, and the overall messages were blown a bit out of proportion. The fact is that coconut oil has been found to increase our good cholesterol, HDL; but it also increased the bad cholesterol, LDL. You can learn more about cholesterol here. About half of the saturated fat in coconut oil is lauric acid, which may be what is responsible for the slight increase in good cholesterol found in some studies. But we have stronger evidence for its harmful effects. It does appear that coconut oil increases LDL, though not as much as butter does. However, unsaturated fats are known to lower LDL, so foods with these types of fats are always a better choice. You can find out more about those options here. Is it a healthy fat or "poison"? It is neither. While it is not a healthy fat, I do not believe any food is “poison”. Coconut oil is no worse than the other saturated fats people consume from butter, full-fat dairy, beef, and more. If people like the taste of coconut oil, it could be used occasionally in moderation. It is important to look at our diets in their entirety without focusing on any one food. For instance, if you eat a lot of animal fat throughout the day, you probably do not have much room for additional saturated fat from coconut oil. However, if you usually opt for the healthier, unsaturated fat as part of an overall nutritious eating plan, then occasionally choosing coconut oil is fine. No single food will poison us, nor will one food be a “cure all.” We need to look at our overall eating patterns and balanced nutrition, which must come from all food groups. I would, however, advise against the regular use of coconut oil. 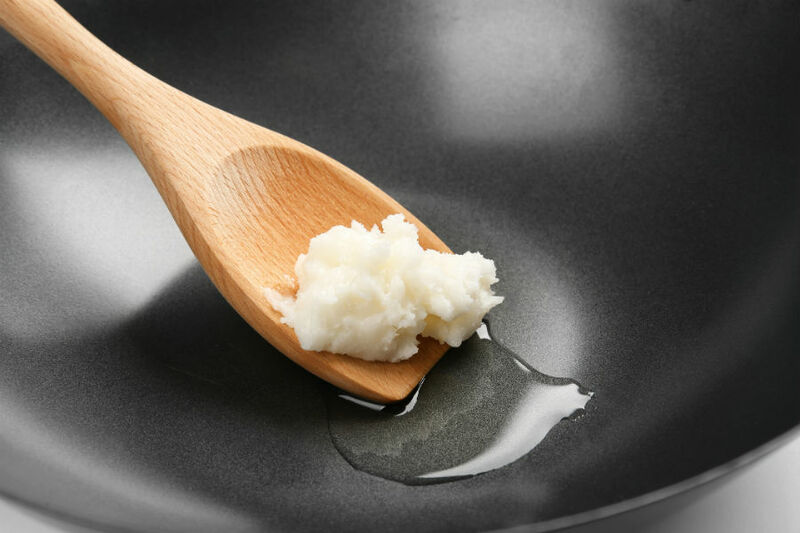 When you are using fats daily for flavoring foods, cooking, baking, or even making salad dressings, it is always best to opt for an unsaturated fat. We have years of compelling research that the unsaturated fats from plant-based, non-tropical oils are better for heart health than saturated fats. A healthier option would be extra virgin olive oil (EVOO), which has proven health benefits. I use EVOO on everything! In fact, the American Heart Association does recommend the Mediterranean diet, which uses EVOO as a main source of fat. This type of olive oil is the first cold press from the olive. It is the least refined and retains the most health properties and flavor profile..
Get more tips and information on healthy eating for you and your family. Visit the Nourishing section of our Lifespan Living health and wellness blog. Katy Macqueen is a clinical dietitian in the Center for Weight and Wellness.